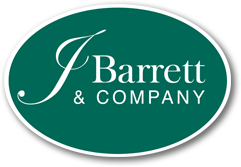 Real Estate North Shore MA - Luxury Listings | J Barrett & Co.
From coastal manors to luxury townhomes Massachusetts' North Shore has plenty of luxurious homes.  Below you will find all of our exclusive luxury and premier properties on Massachusett's North Shore. If you have questions or would like to set up a showing, contact us. Don't miss out on new luxury listings and keep track of your favorite properties by creating an account with us. ONLY 1 UNIT REMAINS! Country club lifestyle at Middleton's newest luxury community, Estates on the Green at the Ferncroft CC, Final Phase. Efficient new construction with versatile floor plans and each unit its own oversized 3-car attached garage. 1st floor boasts an elegant Master Bedroom suite, an open Living/Dining room with a gas fireplace, hardwood flooring, and vibrant architectural space all adjacent to the designer chef's Kitchen with stainless Thermador appliances and custom cabinetry with quartz countertop. 2nd floor has 2 additional Bedrooms, with an en suite Bath at the larger and loft space overlooking the lower level. Outside, a large wrap around composite deck, to a paver patio, walkway and drive. This home has all the amenities of a single family home with exceptional detailing and none of the maintenance. Price includes initiation fee for social membership to the Ferncroft CC. Enjoy the private pool, tennis, golf and activities at the area's most exclusive club. ONLY 2 UNITS LEFT! Country club lifestyle at Middleton's newest luxury community, Estates on the Green at the Ferncroft CC, Final Phase. Efficient new construction with versatile floor plans and each unit its own oversized 3-car attached garage. 1st floor boasts an elegant Master Bedroom suite, an open Living/Dining room with a gas fireplace, hardwood flooring, and vibrant architectural space all adjacent to the designer chef's Kitchen with stainless Thermador appliances and custom cabinetry with choice of granite or quartz countertops. 2nd floor has 2 additional Bedrooms, a full Bath and loft space overlooking the lower level. Outside, a large wrap around composite deck, paver patios, walkways and drive. This home has all the amenities of a single family home with exceptional detailing and none of the maintenance. Price includes a 1-year social membership to the Ferncroft CC. Enjoy the private pool, tennis, golf and activities at the area's most exclusive club. Gorgeous shingle style new construction to be built in wonderful Manor Homes at Whitehall neighborhood, a beautiful luxury New England enclave in sought after Beverly Cove. Start from the ground up and customize this home according to your personal taste and style. Beautiful open concept floor plan with superior quality, fine luxury finishes and generous allowances. Use this design or choose another and have us quote building your dream home today. Country club lifestyle at Middleton's newest luxury community, Estates on the Green at the Ferncroft CC, Phase 3 now available. Efficient new construction with versatile floor plans and each unit its own oversized 3-car attached garage. 1st floor boasts an elegant Master Bedroom suite, an open Living/Dining room with a gas fireplace, hardwood flooring, and vibrant architectural space all adjacent to the designer chef's Kitchen with stainless Thermador appliances and custom cabinetry with choice of granite or quartz countertops. 2nd floor has 2 additional Bedrooms, a full Bath and loft space overlooking the lower level. Outside, a large wrap around composite deck, paver patios, walkways and drive. This home has all the amenities of a single family home with exceptional detailing and none of the maintenance. Price includes a 1-year social membership to the Ferncroft CC. Enjoy the private pool, tennis, golf and activities at the area's most exclusive club. Beautifully updated circa 1730 colonial on 2 acres in Wenham estate setting. The Captain Dodge House has been lovingly maintained and thoughtfully updated for today's living while preserving period details including historic moldings, mantels, wood floors, window shutters and 9 fireplaces. Architect-owned 4-bedroom home offers a large, eat-in elegant chef's kitchen with fireplace and generously sized living spaces throughout. Master suite with 2 fireplaces, en suite bath and sitting room. Front and back staircases. 3rd floor bonus room. Updated systems. Set on 2 acres with mature trees and gardens, rolling fields and stone walls, this property includes two barns - an English-style post & beam and a 2 car garage, storage and a studio/office with a wood stove for heat. 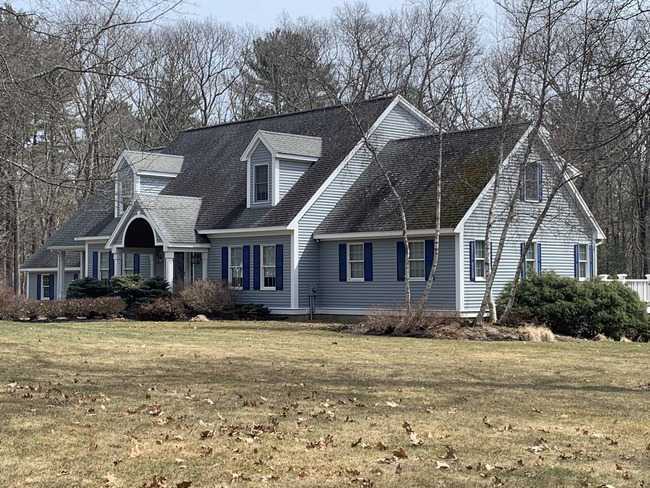 Sidewalks to town with easy access to highways and trains for commuters, and located in the highly rated Hamilton Wenham Regional School System. Potential of 2nd lot (see firm remarks). Enjoy over 4,000 square feet of this beautiful colonial conveniently located close to shops, schools, restaurants and downtown. The sun filled home has a living room with cathedral ceilings, fireplace and is open to the kitchen and a door leading to the patio and yard. The eat-in kitchen features Granite counter tops, stainless steel appliances, cherry cabinets, Granite island and spacious dining area. The main level also has a dining room and home office or den. The side entrance leads into a mud room - connected to the two car garage with a half bath. The second floor offers three bedrooms, a newly renovated bath with double sinks and a laundry room. The master suite has with a balcony and deck, walk in custom closet, full bath with shower, jacuzzi and double sinks. The lower level is finished with an area for entertaining, relaxing and workout space. Other features include a large attic for additional storage or expansion, workshop in the basement, beautiful yard and much more. NOT ALL HOMES ARE CREATED EQUAL!! Sited on level 1 acre lot this understated Cape home w/ 4 car garage & full length farmers porch, has it all! Views to the Eagle Hill River & beyond.Owned by plumbing/heating contractor, you just can't imagine the detail & execution! Four (4) full bathrooms boast innovation & style! Two (2) half baths w/ both function & style, including 1 in garage. Spectacular custom crafted family kitchen w/ oak plank flr, granite, 6 burner SS cook top, Double oven, pantries & more. Energy features include solar, radiant heat thru-out house, including garage. Field stone fireplace highlights fm rm & opens to 4 season sun porch. Pool w/ waterfall & pool house right out of H & G mag, open patios & porch w/ automatic screen closers, summer kitchen, freestanding field stone BBQ/frplc, all surrounded by gardens, vegetable & decorative. Ideal 1st flr master option. 2nd flr master suite to die for. The quality of systems, beauty and function at this property are bar none!